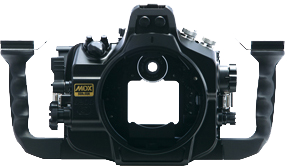 MDX housing for Nikon D300s, supports fiber-optic cable connection. Related Information Sample movie taken by MDX-300s (Nikon D300s) in D-movie. 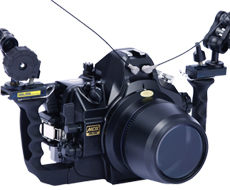 By attaching the VF180 or the VF45 prism viewfinder (magnification ratio of 1.2x) to a SEA&SEA housing, the magnification increases by 1.2x and entire field of view can be seen at the same time. Recommended for users committed to strict composition and focusing. Fully strove for a unique structure where the main command dial and subcommand dial can be reached easily. As a result, achieved a structure in which the sub-command dial was moved even closer to the grip than in previous models by adjustment of the chassis inside the housing. 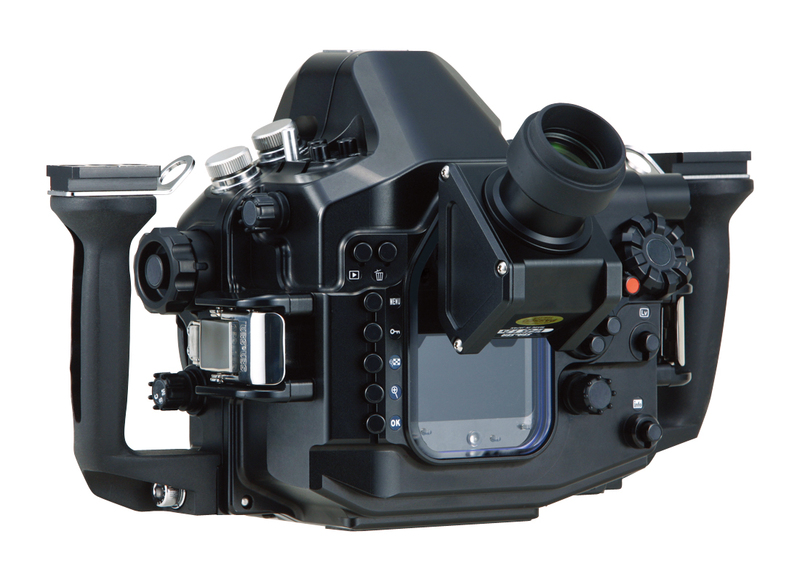 Can adjust the shutter / aperture in a snap while holding the grip. With just the right amount of clearance that can't be found anywhere else, this design realizes high hold to ensure an ideal shooting position. Furnished with a tripod socket in the central region of the bottom surface of the main body. If you remove the attached Ergo Grip22109, you can also add an optional Grip-Stay L22108.